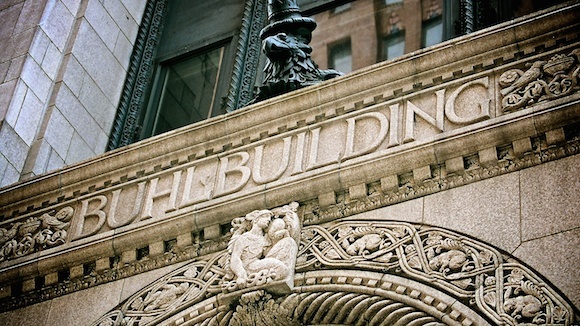 Ask enthusiasts what they love about Detroit architecture and they’ll likely mention the incredible ceilings, floors, and decorative fixtures that adorn the city’s 1920s- and 30s- era buildings — inside and out. What they might not realize, however, is that one man is responsible for a significant number of those features, particularly the sculptural reliefs you see on building exteriors and in grand skyscraper lobbies. 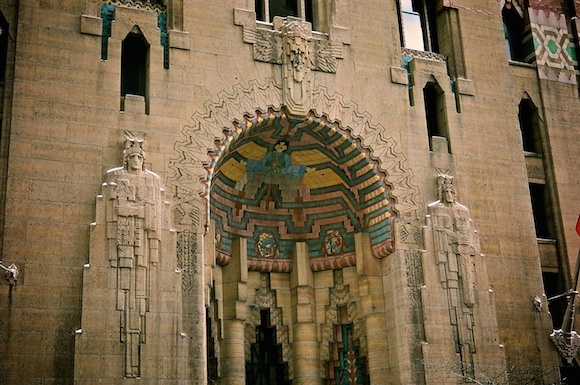 From the bas-reliefs of the Guardian Building to the Native American sculptural motifs of the greater Penobscot Building, no artist better defines Detroit’s downtown than Corrado Parducci. Read the complete article with 12 photos of buildings featuring Parducci’s work. This entry was posted in Detroit Architecture and tagged Parducci.